(VEN) - Vietnam has concluded negotiations on 13 free trade agreements (FTAs) and is negotiating three others, placing it among the leading countries in the region in terms of international economic integration. It will be one of the few Southeast Asian nations simultaneously involved in FTAs with major economies, such as China, the EU, Japan, Russia and other partners. The EU-Vietnam Free Trade Agreement (EVFTA) and the Comprehensive and Progressive Agreement for Trans-Pacific Partnership (CPTPP) are two among those 13 FTAs. These high-standard new-generation FTAs have new, non-traditional contents compared with previous FTAs. Commitments in these two FTAs are expected to have positive impacts on Vietnam's administrative, legal and institutional reforms, requiring Vietnamese state management authorities to amend relevant regulations and simplify administrative procedures pertaining to the granting of investment and business licenses, as well as customs formalities and import, export procedures. Participation in these FTAs will help Vietnam enhance national competitiveness, as well as the competitiveness of the economy, businesses and products, accelerating the process of building a market economy in Vietnam. The two FTAs will contribute to forming production chains with tight linkages and assisting each other for mutual benefits, thus promoting technology transfer between regional countries, helping them stimulate production and enhance the capability to attract domestic and foreign investment. These impacts will be significant to Vietnam, especially in the context of its efforts to access modern and environment-friendly technologies to become a logistics and manufacturing hub of the region. Initially, Vietnamese businesses were incapable of taking advantage of all the preferential terms offered by FTAs, especially in trade with neighboring markets. They utilized only 20.7 percent of preferential terms in trade with ASEAN countries, and about 27 percent in trade with China, for example. However, companies with foreign direct investment (FDI) were better at taking advantage of FTAs, especially in industrial production. Gradually, domestic companies’ ability to take advantage of FTA preferences has improved. In trade with Japan, for example, Vietnam faced a trade deficit of about US$500 million in 2009, but since the bilateral FTA between the two countries and the FTA between ASEAN and Japan took effect, Vietnam had recorded a trade surplus with this market. More importantly, Japanese FDI in Vietnam has increased considerably. Trade with Chile is another example. Vietnamese exports to this market increased by 2.5 times three years after the bilateral FTA took effect. Vietnam shifted from a trade deficit of about US$100 million to a trade surplus of more than US$700 million. Similarly, Vietnam's trade surplus with the Eurasian Economic Union increased from US$500 million to US$900 million in the first year of the bilateral FTA's validity. Despite a growing trade deficit with the Republic of Korea (RoK), its bilateral FTA with this country has helped Vietnam attract more Korean investment. Lately, Vietnamese businesses have been taking advantage of more than 60 percent of preferential certificates of origin (C/Os) in trade with partners from Chile and the RoK. FTAs have helped Vietnam enhance national competitiveness. 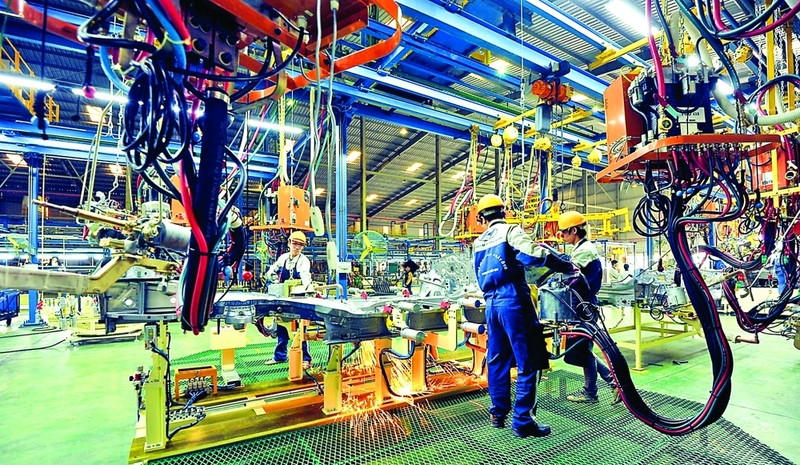 By opening its door to compete with external rivals, the Vietnamese economy has shown positive changes, accelerating its restructuring and growth model renovation. Vietnam has also seen positive results from its FTAs with ASEAN and partners, such as China and India. From 2005-2017, Vietnam's exports to China grew by 11 times. Its trade deficit with India decreased strongly from US$1.2 billion in 2009 to more than US$100 million in 2017. Vietnamese agricultural companies have also proved themselves able to take advantage of FTA preferences, especially in exporting to China, the RoK and ASEAN countries. When Vietnam implements additional new-generation FTAs, domestic companies will face numerous challenges, including efforts to enhance their competitiveness in the global market. Luong Hoang Thai, Director of the Ministry of Industry and Trade's Multilateral Trade Policy Department, believes the participation in value chains in free trade areas that involve Vietnam will enable domestic companies to make the most of preferences presented by FTAs. In his opinion, domestic companies need to meet strict requirements of importing countries in free trade areas, including technical and quarantine regulations, as well as other import management measures. Apart from abiding by traditional regulations in fields such as customs and rules of origin, businesses need to fulfill and avoid violating new obligations specified in new-generation FTAs, such as those pertaining to labor, environment and intellectual property. Businesses risk the termination of tariff preferences by some countries if they do not abide by regulations on use of child labor or are involved in forced labor, overfishing and violations of intellectual property rights. successfully exported agricultural products, such as dragon fruit, mangoes and litchis, to Australia, France and Japan.